The second panel (Emily Jones, Sophie Hardefeldt and Gabriel Siles-Brügge, chaired by Tonia Novitz) examined how the UK could – in the event of Brexit – depart from or improve on the practices of the EU. Issues regarding human rights protections, development and transparency were considered, echoing many of the themes emerging from the discussion of the first panel. 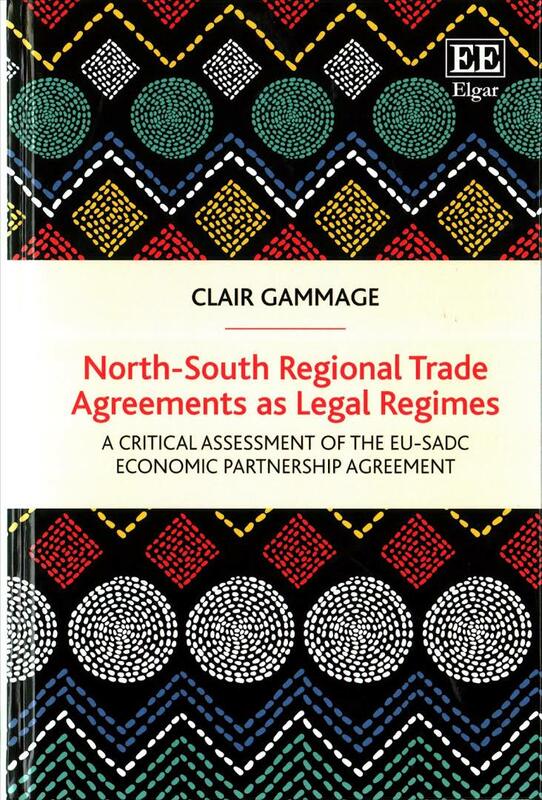 While the focus of Clair’s book has been African regionalism(s), which have been disrupted by EU engagement, Maria Garcia (Bath) offered an analysis of the significance of trade agreements with South-American states, in the context of geo-economic competition with the US. She noted that although EU policies are not unproblematic, the EU’s insistence on sustainability chapters brings the opportunity to create dialogue and socialisation processes, whilst respecting each party’s customs and right to regulate. These chapters present a model of social and environmental rules promotion, which includes a strong focus on civil society involvement in monitoring labour and environmental matters. The Latin American FTAs have shown shortcomings in the model (lack of funds, lack of autonomy), which have spurred an intense debate and reflection period in the EU around these chapters. This should lead to sustainability chapters 2.0, possibly with additional areas of concern addressed. In a revolutionary move, Canada and Chile have also shown that trade agreements can seek to address issues of gender through their recent agreement, and this will feature in the EU’s update of its agreement with Chile. An EU Horizon 2020 Project, ‘Sustainable Market Actors for Responsible Trade’ (SMART), was the subject of the presentation by Tonia Novitz (Bristol). She and Clair Gammage are leading on the ‘Trade and Investment’ section of the project, having drawn on the expertise of the SMART project participants which spans 25 research institutions and more than 50 researchers across the world. Tonia identified the preliminary findings of the project which are that: (1) the apparently discrete legal regimes regarding trade, corporate governance, investment and finance interact in ways that require further attention, such that the impact of mega-regional agreements on other legal and political commitments must always be carefully considered; (2) access to justice is problematic for low-income states both in WTO dispute settlement and investment arbitration, which could be addressed through reconsidering rules for standing and issues of funding; it is also highly problematic for migrant workers in supply chains, which could also be addressed through global coordination as well as domestic legislation; (3) the diversity of public, private and hybrid actors and differentials in their capacity to influence negotiations and implementation of agreements requires more regulatory attention; and (4) transparency is vital but will not deliver accountability, which must be pursued in a holistic study of the interaction between trade, investment and finance. In the second panel, Emily Jones (Oxford) offered a vision of Brexit as an opportunity for better trade relations. Her recent work has been concerned with Making Trade Work for Development Post-Brexit and she identified a number of risks regarding Brexit. The first and foremost of these is trade disruption, which could lead to problems with preferential access and higher tariffs, although she noted that the UK government is working to address these. Non-tariff barriers could also rise and costs could emerge from divergent regulations as the UK ceased to comply with EU regulation standards regarding certain goods and services. There could also be significant disruption to EU/UK supply chains, which contain components from developing countries. If the UK wants to present itself as an ethical trade actor, then it can build from and improve upon EU trade policy. The UK could include human rights and development clauses, like those in EU FTAs, and conduct sustainability impact assessments for all its trade agreements. To ensure development concerns are prioritised in trade agreements, the UK could go further than the EU and give the Department for International Development (DFID) a substantial role in the negotiations (compare with DG TRADE and DG DEVCO above). 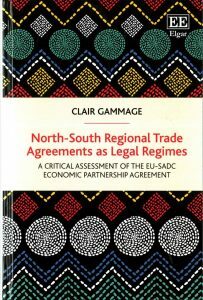 Instead of replicating the Economic Partnership Agreements (EPAs) with African countries, which have been highly controversial, the EU could improve upon and expand the EU’s Generalized System of Preferences (GSP). Sophie Hardefeldt (Trade Justice Movement – TJM) is concerned not just with the substance of post-Brexit trade agreements but also with the UK’s procedure for the negotiation and ratification of trade agreements. Trade has an enormous impact on the UK economy and society and there are insufficient constitutional safeguards at present, where international agreements tend to be seen as a matter of sovereign prerogative, when they should be the subject of democratic and participatory debate. For example, under the existing procedural framework the Government can negotiate trade agreements with minimal input and oversight from parliament and the public. There is no requirement that agreement texts are made public, or made available to Parliamentarians, throughout the negotiations. Signed trade agreements are to be placed before parliament for 21 days prior to ratification, but there is no guarantee that these will be put to a parliamentary debate or a vote on their content (and the onus is on the opposition to initiate these, which may be exceptionally difficult given these time constraints). Legislative reform is required to ensure that after Brexit the UK parliament and public does not have less control over trade policy than under the EU. The release of the first Trade White Paper has been delayed and there has been no open or transparent consultation as to the content of the forthcoming Trade Bill, which is expected in the coming months. The UK Government should look to include in the Trade Bill a procedure for the negotiation and ratification of trade agreements that guarantees: (1) a role for Parliament in setting negotiating mandates; (2) a clear structure for engaging the public and civil society; (3) full transparency in negotiations; (4) the right of Parliament to amend and to reject trade deals; (5) and the right of Parliament to review and withdraw from trade deals. To this end, the TJM have led on the drafting of a letter to The Telegraph on 20 October 2017, signed by prominent academics engaged in trade and Brexit debates, including a number of participants at this event. Gabriel Siles-Brügge (Warwick and a Parliamentary Academic Fellow) advises the Parliamentary International Trade Committee but was here expressing his own independent views. Reiterating the need for transparency in trade negotiations, he noted the importance of parliamentary scrutiny in EU trade policy and questioned whether there was a straightforward trade-off with effective trade and investment policy. The UK, for example, has already negotiated over 100 bilateral investment treaties (BITs) with developing countries. While negotiated quickly with little scrutiny, they impose potentially significant regulatory constraints on signatory states. He stressed that the experience of the European Parliament in EU trade policy suggested that legislatures provided a fruitful avenue for NGOs to raise such issues during the negotiations. The EU requirement for negotiators to report to and seek legislative approval for trade and investment agreements should be replicated in UK parliamentary processes, which should go further by also giving parliament the opportunity to have a say early on a pre-negotiation mandate. As Phil Syrpis noted in the discussion, transparency and a parliamentary vote may not necessarily secure legislative scrutiny as the outcome of the Gina Miller litigation has demonstrated. However, it was agreed by all that the opportunity for political engagement and participation remains vital, as does the endeavour to include not only procedural but substantive human rights, environmental, labour and other standards associated with sustainability into the UK trade regime. The participants will continue to engage to share examples of innovative regulatory trade measures and options for the UK that add to (rather than diminish) current EU strategies for development. Thanks to PolicyBristol for continuing to support this event and others in the Law School.